When you’re planning the construction of a new home, renovating a property, or remodeling part of your current house, you can rely on the experience of Aqueduct Plumbing Company to deliver nothing but the best. We’ve overseen the new construction of more than 1,000 homes throughout Houston and Galveston, and we’re proud to have been part of helping people reconstruct their homes after Hurricane Ike hit the Texas Gulf Coast in 2008. We’re also happy to handle residential remodeling or renovation projects on our own or with general contractors. Working with Aqueduct Plumbing Company means getting peace of mind. We’re honest, hard-working professionals, and we maintain all necessary licenses and insurance, which is documented by the Texas State Board of Plumbing Examiners. Our emphasis on professionalism and courtesy combined with our experience makes us a perfect fit for your home construction or remodeling needs. Don’t risk serious damage to your plumbing or bank account by using an unlicensed individual or handling the work yourself. 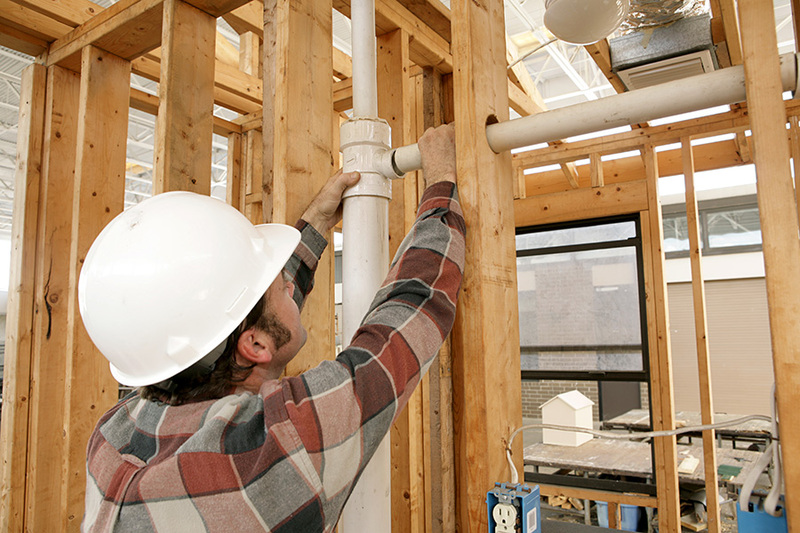 We’ll provide quality plumbing services while staying on schedule and within your budget. Contact us today for a free quote or to schedule an appointment! Contact Us to submit your plans for a bid.